Does the Bible really have heroes and villains? This exciting book answers that question with an emphatic "Yes!" 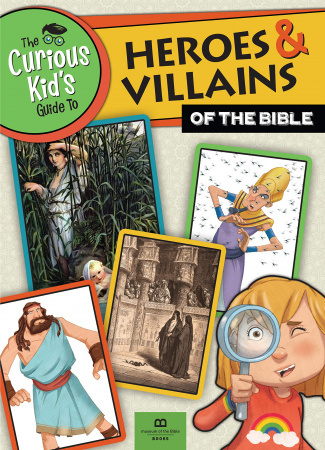 as it dives into the courageous acts and cunning plots of the Bible's most famous and infamous characters. Readers can investigate each person as they browse through profiles packed with helpful stats, origin stories, summaries of the person's most heroic or villainous actions, and colorful maps and images. Full of surprising facts and awe-inspiring occurrences, this collection offers a uniquely engaging look at the Bible. Ages 6-9 years.